What Are the Best Blenders for Bulletproof Coffee to Buy? 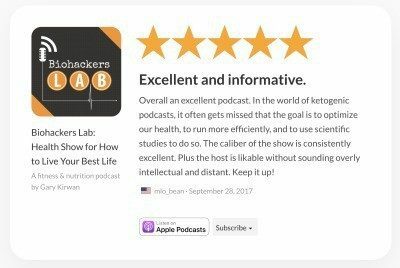 I went out looking for what are some of the highest rated & most recommended blender products and brands that can be used to blend butter or coconut oil into a hot coffee or tea no problem. You may know that I have been putting butter in my coffee for years now. However, I started off by making a BIG mistake. ​I didn’t blend the hot coffee, butter and MCT oil all together! ​The key to making the best tasting cup of Bulletproof coffee is to make sure you blend it! I upgraded my morning routine of how I make my coffee by buying a fast blender for hot coffee. I’ve never looked back since and no longer drink oil slick coffee. The Blendtec is one of the recommended top end luxury blenders. It might be one of the most costly options, however, there is a good reason for that. It is an AWESOME blender! 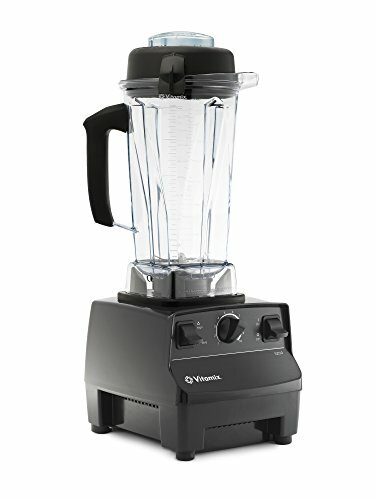 Whenever I hear Dave talking about blenders he always mentions two brands, Blendtec or Vitamix. In fact, you’ll see a Blendtec being used in his official how to make Bulletproof Coffee video on Youtube. These are also the blenders I see being used at the annual Bulletproof conference coffee bar. 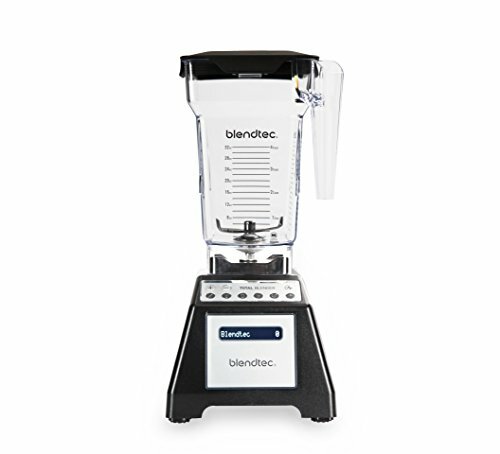 The model you see in the picture is the Black Blendtec Total Blender Classic FourSide Jar. This model made the company famous when it was used in the viral marketing YouTube video ads called “Will It Blend?”. It was used to blend crazy things like glow sticks, iPhones, crowbars and other items not meant for eating or drinking. This was just to prove how powerful its blades and motor are. We only need it to blend freshly brewed hot coffee along with grass-fed butter, Brain Octane oil and maybe some collagen and chocolate powder. The Vitamix is the other recommend top luxury blender for Bulletproof coffee. The Vitamix is also on the high end of budgets, but is another HIGHLY recommended choice that will just do the job. There is always a debate of going with a Vitamix vs Blendtec. For our needs of blending hot liquids, like coffee, either one is great! Vitamix blenders have been around the longest of all the brands. The company has its roots going back to 1937 when founder William Grover Barnard started selling his “Vita-Mix” blender. The 5000 series was launched in 2007 and is the companies most popular selling machine in its catalogue to date. The model you see here is the Vitamix 5200 series blender. The Magixmix is the blender I actually use in my home in the UK. The Magimix is a great middle of the road costing blender. It is only available in the UK and Europe and is a FANTASTIC alternative to the Vitamix and Blendtec. My wife and I did a lot of research on different brands on we ended up buying this one to try out. That was several years ago and it is still working perfect! 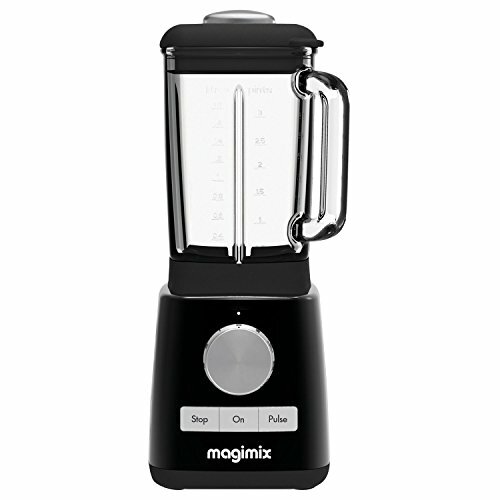 The model you see here is the Magimix le Blender, model number 11610. 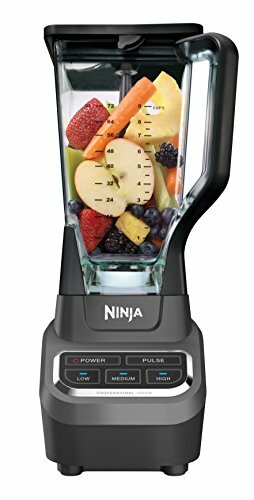 The Ninja Professional is a good start when looking for a more budget friendly blender. The Ninja Professional is a decent kitchen blender that will definitely do the job of getting a good head of foam on your butter coffee in the morning. This very popular blender is made by the company, SharkNinja. The family owned company is said to be in operation for over a century & is based in the USA. Other popular products names you might recognise in their catalogue include: Ninja mega kitchen system & Nutri Ninja. Their selling point is that they aim to produce highly functional, innovative household appliances and products suited for the lifestyles of busy people. Does that sound like you? I personally quite like the design of this one. It is appears simple, yet sturdy. It has a nice big handle to hold onto with blades that fill the mixing chamber. I get the feeling it wouldn’t look out of place in a commercial coffee shop. 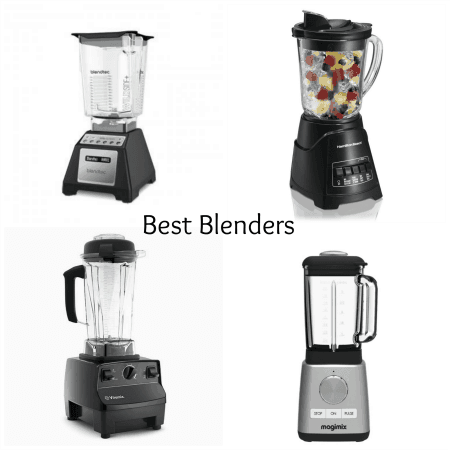 The model you see here is the Ninja Professional Blender, model number BL610. 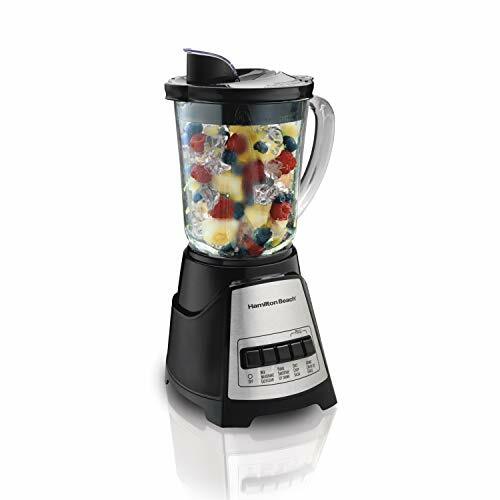 The Hamilton Beach Power Elite is super popular cheap blender. The Hamilton Beach would be my go to budget kitchen top blender. It is smaller than the others, but packs a strong enough punch to whizz all the Bulletproof ingredients into a smooth creamy topped foam. The company got its name from the co-founders L.H. Hamilton and Chester Beach back in 1904. The company owns multiple household brand name appliances from coffee makers to air purifiers. What I like about this device is not only does it use glass, but how compact it is. This would be perfect for quickly making 1-2 cups of joe in the morning. So great if you live on your own or maybe you are the coffee drinker whilst others in the house drink tea. The biggest bummer for me on this machine is that it doesn’t have a removable feeder cap. I love adding Bulletproof collagelatin to my version of the coffee recipe to give a silky mouth feel plus health benefits. You can still add the powder, but will need to stop the machine, remove the lid and then add it into the mix. The model you see here is the Hamilton Beach Power Elite Multi-Function blender, model number 58146. The KitchenAid hand blender is for people specifically looking for a hand held stick blender. 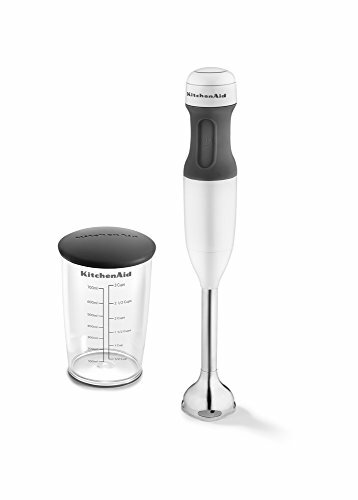 The KitchenAid stick blender is for when someone prefers the easy storage and mobility a stick immersion blender provides. KitchenAid don’t just make stick blenders lots they manufacture from small to big commercial ones like the Pro Line series. The company produced its iconic stand mixer back in 1919 and has been producing a wide range of kitchen appliances for years. The model you see here is the KitchenAid 2-Speed Hand Blender, model number KHB1231. The PowerLix milk frother is ideal for quick mini-frothing ability. The PowerLix milk frother is for when you when a small device that runs on batteries and can try quickly whizz up a cappuccino type froth. I couldn’t find much information on the company that makes the frother other than it is a drop shipping company specialising in baking and other kitchen equipment. I must admit I have played with using a battery powered milk frother before. I had one in the kitchen and it was convenient to try before investing in a proper blender. I can see it being useful when travelling. Say you go camping, self-catering air BnB, or going through an airport possible. It is small and can be easily stored anywhere. Since it doesn’t require mains power it is useable anywhere. What you will learn though is once you use it that it just isn’t strong enough to get the good head of foam you want on your Bulletproof coffee. It just isn’t fast enough. Saying that it will do the job and again there might be a specific reason a frother is more suitable for your situation. The model you see here is the PowerLix Milk Frother. Top Tip: Remember to try one of the discount codes for Bulletproof coffee from here when you buy your official coffee beans from the official online store.